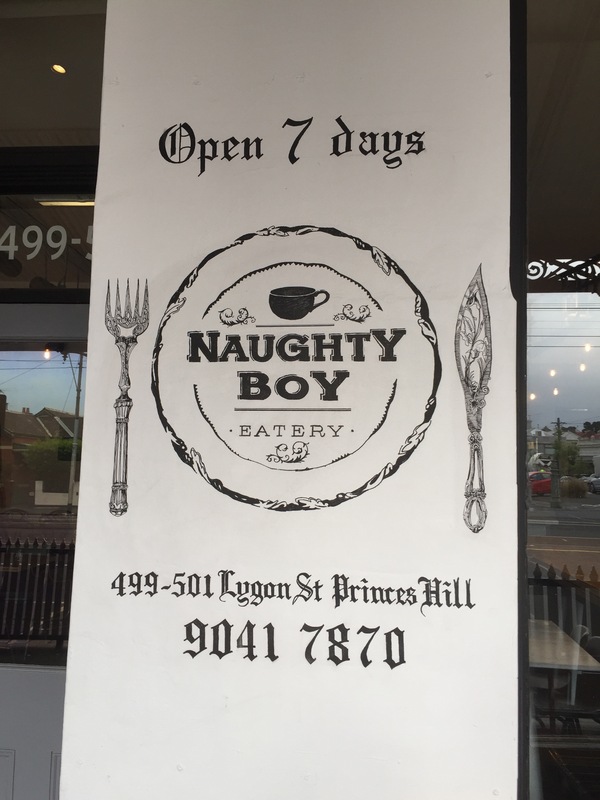 Naughty Boy in Carlton North hasn’t been around for long but is already Insta-famous for their shakes and breakfasts. 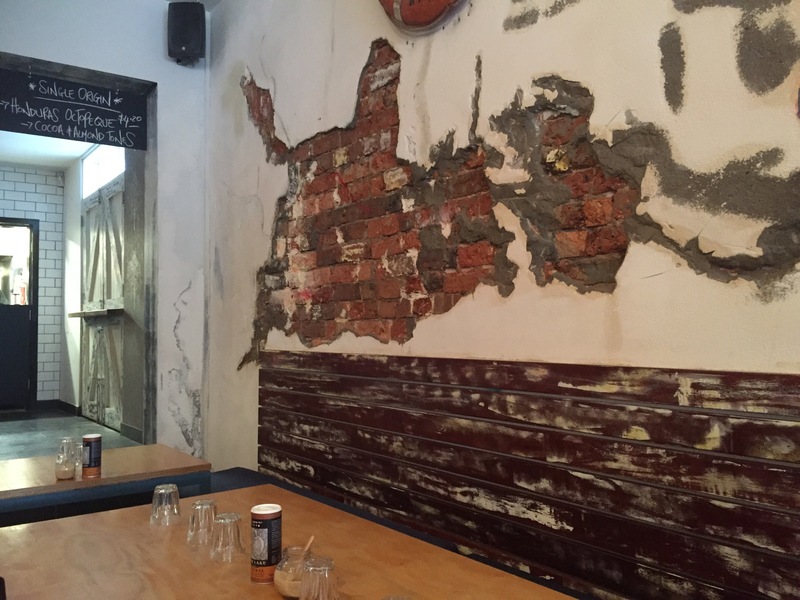 We visited on reputation, finding the restaurant big and stylish, fitted out in the hipster sheek you’ll find everywhere in Melbourne. Nevertheless the cafe was inviting, there was lots of open space around tables and a large counter area. The cafe was almost empty and we were quickly served and had our orders taken. Of course we ordered an Insta-shake, but that turned into a disaster. More on that in a moment. 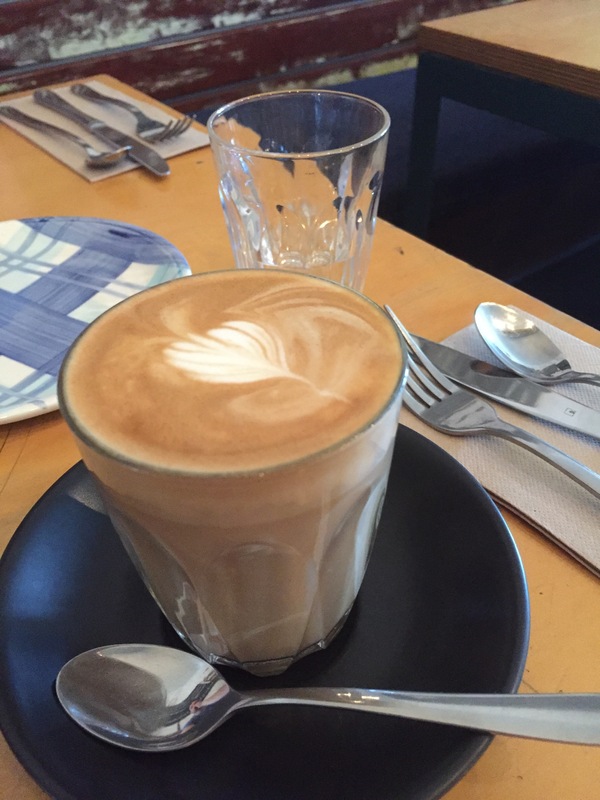 Our lattes had a nice flavour and a light creaminess. They were served at a drinkable temperature, without much attempt at latte art. Our Insta-shake was still nowhere to be seen at this point and after quite a long wait our meals had arrived without the shake in sight. Our shake did arrive eventually, long after we’d finished our meal and my dining companion who was going to share it had to leave. We had asked multiple times where it was, but didn’t get any explanation beyond “it’s coming”. It was more disappointing because we were really looking forward to the shake, and the service in this instance was completely inadequate. We were still charged in full for the shake, an apology wasn’t offered and it soured the experience to the point that I spent a long time deliberating before actually writing this review. 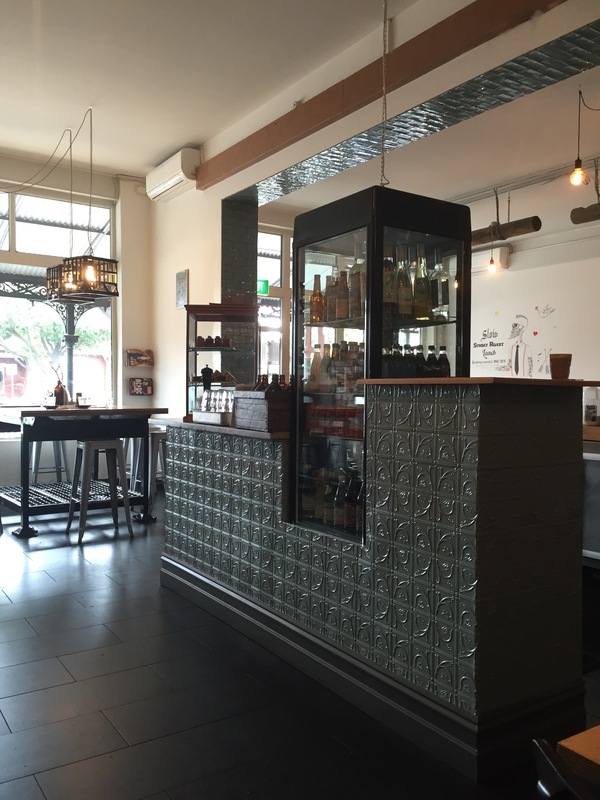 This blog is about sharing restaurants and cafes that we enjoy and get excited about, not negativity and disappointment. Since Naughty Boy had a bit of both for us I’ll let you make up your own minds. For the purpose of this review, let’s discuss the shake before the meal. It was what was promised, big and overloaded with ridiculous flavours and outlandish presentation. It was more about the toppings than the shake, it was supposed to be salted caramel but there wasn’t much in the way of either salt or caramel. The shake was frothy but a little thin and underwhelming. The toppings however were just delicious. There was fairy floss, a praline, Nutella and even rice pudding. Were still not entirely sure how they managed to top a milkshake with rice pudding, but are so glad they did, it’s such an under appreciated, but delightful dessert. With an Insta-shake it’s really more about the toppings than the shake itself, but ideally you’d like both to be on point. Despite the flavours of the shake we would still be wary to order it again given the service we received. $12 is a high price to pay, even if the toppings make it more like a meal than a beverage. 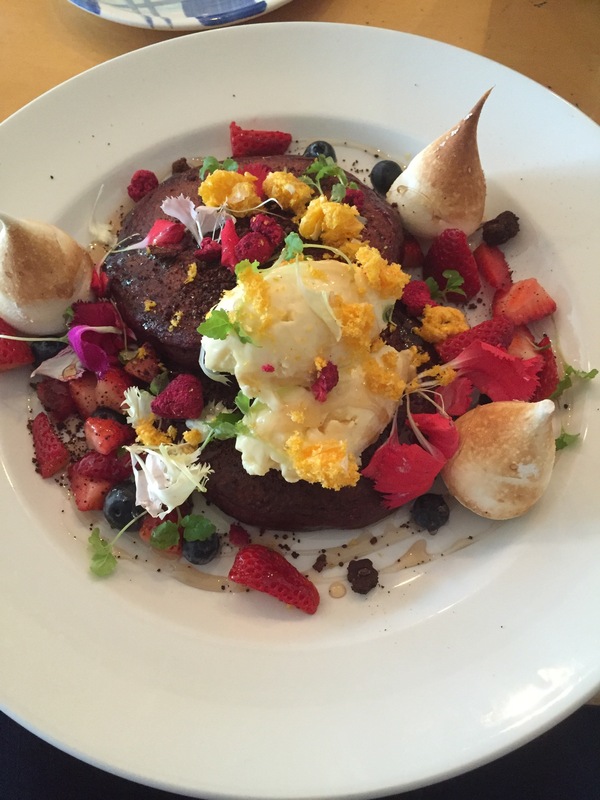 The first of our breakfasts was the Red Velvet Pancakes. They had a lot of chocolate flavour and the signature red colouring but there was no sign of the cream cheese icing anywhere. We loved the combination of toppings and sides, dried strawberries, intense chocolate soil, used sparingly for full effect and a light meringue. The pancakes were a little dense but with a mouthful of a little bit of everything it was a winning combination. 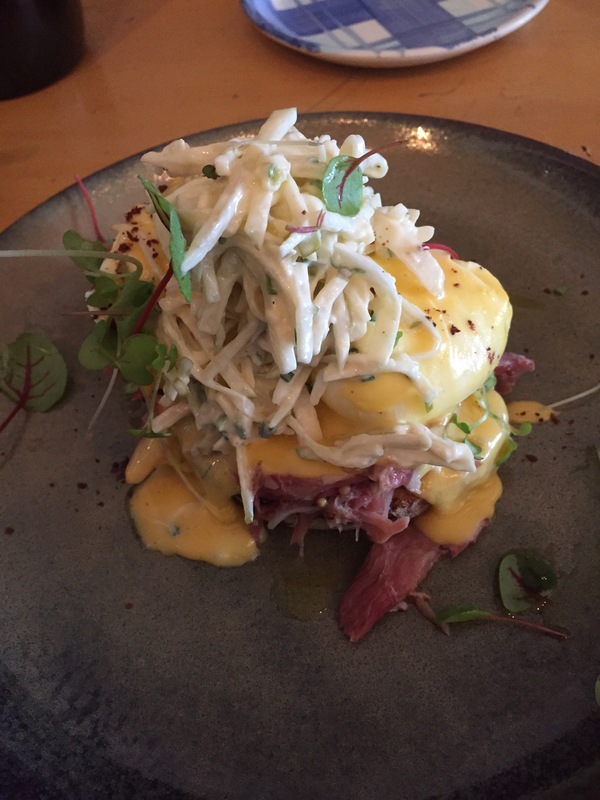 We also went for the Eggs Benedict with a Fennel and Celeriac Remoulade. There were huge hunks of ham, well poached eggs and hollandaise atop a single piece of toast. We loved the crunch and balance of the celeriac for a change, and the huge hunks of ham hock are what we always hope to see when ordering an eggs benedict. The hollandaise had a lovely flavour and thickness but was soon watered down, just as the toast became a soggy mess pretty quickly. The tower looked wonderful, but two pieces of toast and a little less liquid would have really elevated the dish. This was a really delicious eggs benedict, the ham hock making it one to remember. It’s hard to consider an experience like the one we had at Naughty Boy. There were some things we really enjoyed and others that really soured the experience. 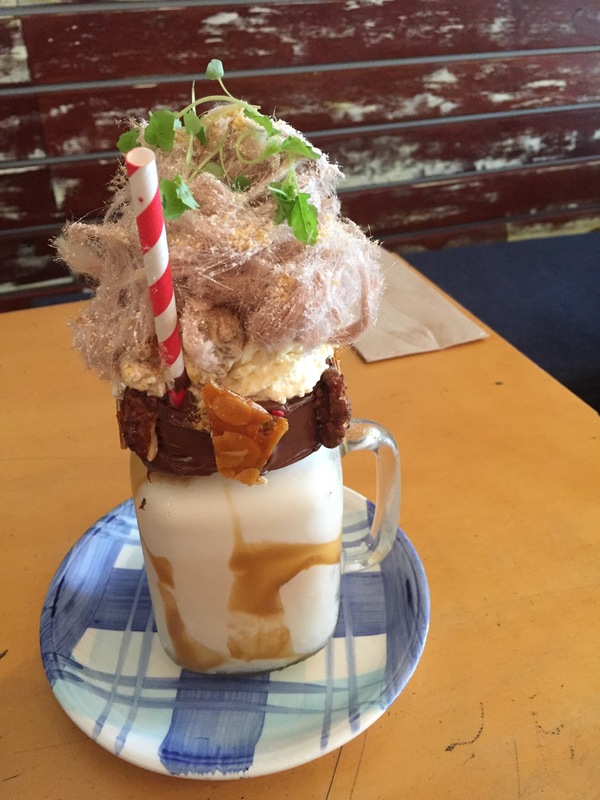 Ultimately we decided to post the review despite the Insta-shake drama in the hope that others might find it useful and to show there’s a lot more behind one of their milkshakes than just a great photograph. If we do return there is no way we’ll be ordering another.